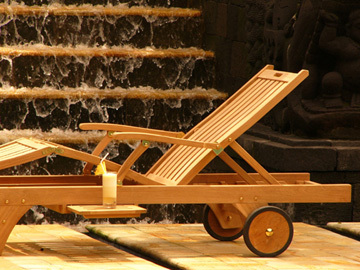 Fine teak lounging is not just for cruise ships and resort pools anymore. Have a half hour to spare? Grab a good book, an iced tea, & sink into one of our versatile teak loungers. Bring on the rain, snow & sleet, because year after year your Colton Teak lounge chairs will age gracefully, awaiting your return. Harken back to days of old with our classic steamer lounge chairs or fast forward to chaise lounges with all the modern conveniences. The wide, ergonomic curvature of Brighton Collection steamers & chaise loungers is an alluring haven from the daily stresses of life. Seeking additional comfort? Our Sunbrella® extra thick lounge cushions are available under Accessories in a variety of colors or opt for a deep seating chair & ottoman combination, already outfitted with premium Sunbrella® deep seating cushions.